In the NYT's gift guide, Simone Oliver writes of the Crystal Cult's Golden Vape Pen (with optional Bling Tank): "There's no need to brave the cold for a smoke. 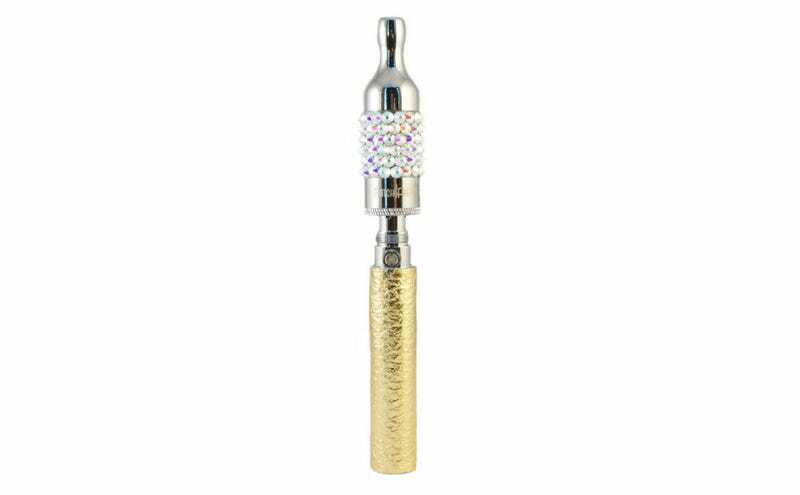 Svelte enough to fit in a clutch or pocket, this vaporizer may steal attention from the user's holiday outfit." Mr. Steal Your Attention, meet Ms. Steal Your Vape, who is also known as "The Lip Balm and Ponytail Gal" according to the leisure-class anthropological schematics of the "Style, Beauty & Grooming" section of the paper of record's 2014 Holiday Gift Guide. Here are the other types of people that New York Times readers (who are college professors and Wall Street bankers) might want to buy gifts for. In the spirit of benevolence, we've carefully selected a range of items aimed at (but not limited to) various personalities: the luxury savant; the trendy millennial; the lady who brunches; the dapper gent; the rustic minimalist; and the lip balm and ponytail gal. Hehehe, sounds awesome. Hit me with that $175 Tory Burch FitBit Necklace, I've got a Sexually Unsatisfied Upper-Middle-Class Mother of Seventh-Grade Twins Who Won't Stop Masturbating Into Tube Socks to drop two hundos on before EOD. So glad you threw in that vape though; let's do that sentence again another way. "I Love Vaping" -The New York Times. "For a Life Well-Lived, A Vaporizer Always in That Tray Near the Entryway." "For Jia, A Holiday Gift Comes Early." "For Some Millennial Vape Queens, It's Always Christmas in The Milky-Smoked Prison of the Mind." I hope they hire me as Vape Editor when the time is right.